This is a wire feed MIG (Metal-Inert Gas) welder that runs on 120V, 20A. It can be used for welding light steel up to 1/8". It is currently fitted with an argon/CO2 gas mix. To use this item, you must first be trained on it by Simon Clark. The biggest safety concern is that the welder will throw sparks a good distance. 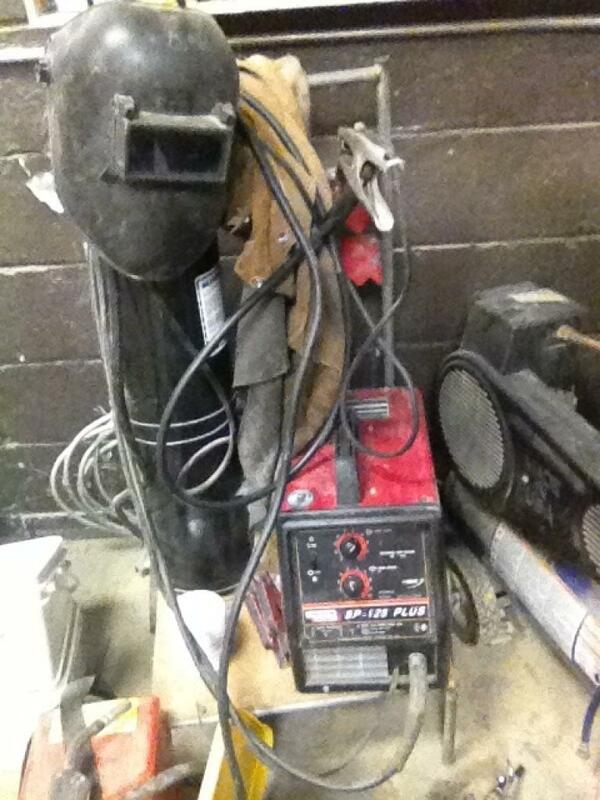 Make sure you are welding in an area that will not allow sparks to be thrown under tables or on to anything flamable.